Pakistan is being taken as new emerging economy of the world with Vision 2025. In this connection, China Pakistan Economic Corridor (CPEC) is gateway of progress in which big economies are interested to become part of it. It was expressed by Federal Minister for Planning, Development and Reforms and notable Ex-UETian Prof. Ahsan Iqbal while addressing to old students on 2nd Alumni Reunion arranged by University of Engineering & Technology Lahore. He said that world of competition demands expertise and approach to deliver at scientific grounds for progress of country. While talking about energy he revealed that government is going to enter 11000 MW into installed system to address this crisis and hydal power projects are being under working and restoration. Similarly China has agreed to develop 9 industrial zones which will enhance rapid industrialization to cope up unemployment and instability of economy. Minister stated that UET graduates have been contributing in the development of Pakistan in all engineering sectors through their unique ideas, skills and talent. It is matter honor for university and its students. Meanwhile Chairman Pakistan Engineering Council (PEC) and Ex-UETian Engr. Javed Saleem Qureshi said that PEC is taking measures to empower the engineering and engineers at large. In this regards entrepreneurship policy has been announced to facilitate the engineers and 2017 would be the year of engineers through consistent policies. 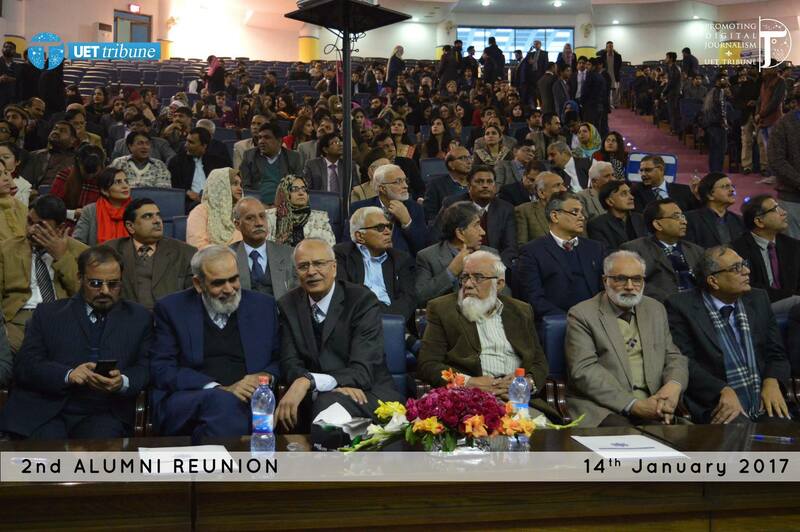 At the moment Vice Chancellor UET Lahore and Ex-UETian Prof. Dr. Fazal Ahmad Khalid said that the idea behind alumni reunion was to connect the old students with UET for getting benefits from their knowledge, experiences, expertise in up gradation of curriculum, labs and techniques to compete the other institutes.